I believe that the true road to preeminent success in any line is to make yourself master of that line. Whatever I engage in, I must push inordinately. The man who dies rich, dies disgraced. 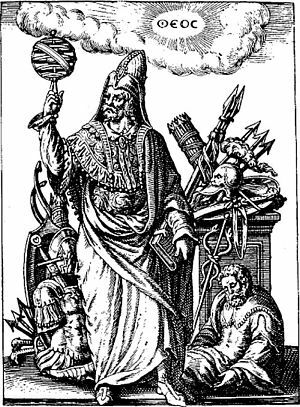 I shall argue that strong men, conversely, know when to compromise and that all principles can be compromised to serve a greater principle. Every act you have ever performed since the day you were born was performed because you wanted something. 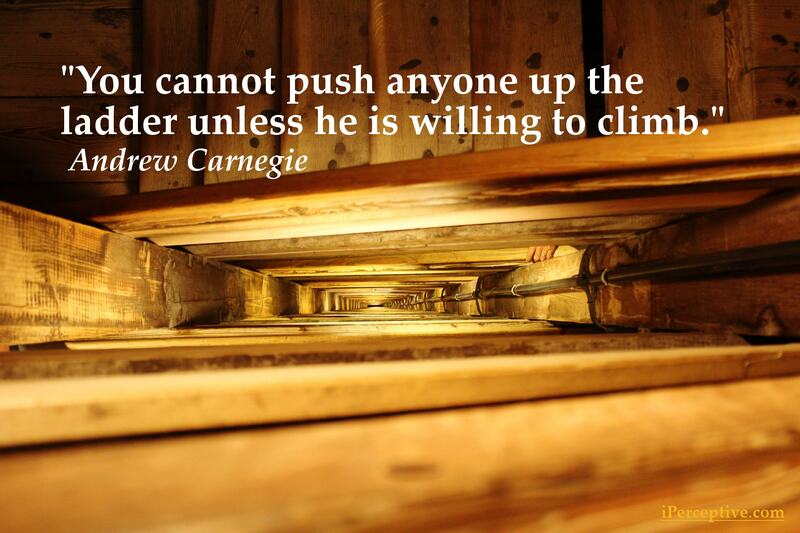 You cannot push anyone up the ladder unless he is willing to climb. All honor's wounds are self-inflicted. There is no class so pitiably wretched as that which possesses money and nothing else. It is the mind that makes the body rich. No man can become rich without himself enriching others. Think of yourself as on the threshold of unparalleled success. A whole, clear, glorious life lies before you. Achieve! Achieve! When fate hands us a lemon, let's try to make lemonade. I did not understand steam machinery, but I tried to understand that much more complicated mechanism - man. If you want to be happy, set a goal that commands your thoughts, liberates your energy, and inspires your hopes. Concentrate your energies, your thoughts and your capital.... The wise man puts all his eggs in one basket and watches the basket. The secret of success lies not in doing your own work, but in recognizing the right man to do it. You must capture and keep the heart of the original and supremely able man before his brain can do its best. 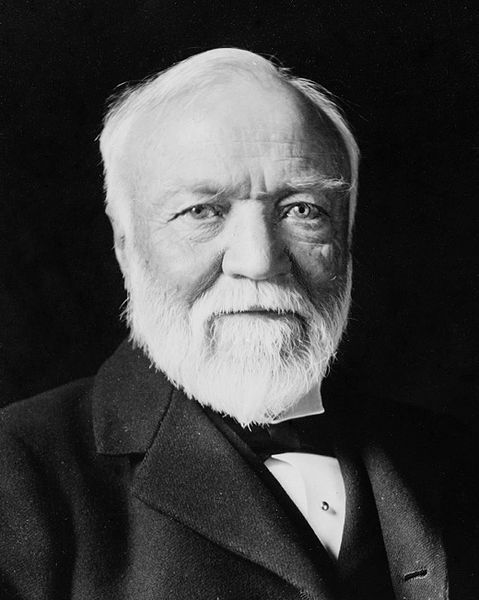 Andrew Carnegie was a Scottish American industrialist and entrepreneur. He had an major role in the expansion of the American steel industry in the late 19th century.